Guess Who is Coming for Dinner will be a time to get to know people you might not otherwise meet, in a casual setting over a shared meal. The fun part is, your dinner companions will be a surprise…even to the hosts! All (including children) are welcome! 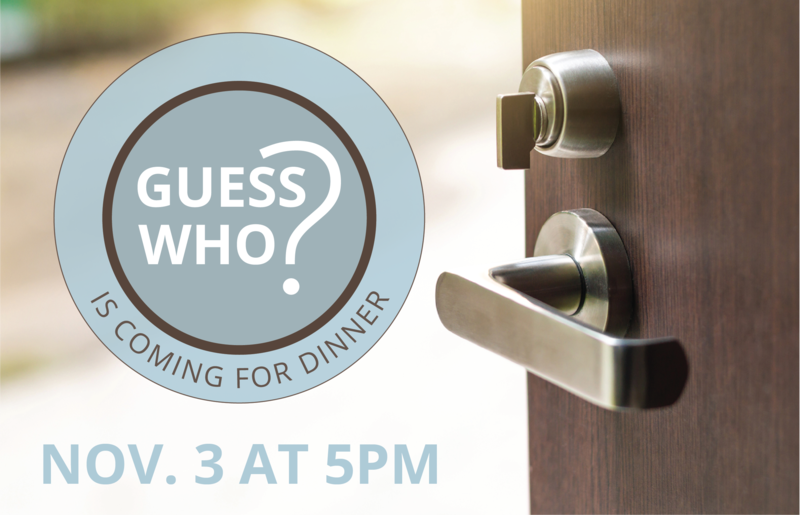 Registration for Guess Who’s Coming For Dinner November 2018 has closed. Q: Can I request to go to a particular home? A: No: the idea is to get to know people you don’t already know. The deacons will match you with a host from church. Q: What are the responsibilities of a host? A: Hosts will be assigned guests (no more than you sign up for). You will prepare a main dish for everyone. Guests will arrive at your home at approximately 6pm bringing a salad, side or dessert. The deacons will provide you with get-to-know-you questions though you may feel free to play a game or facilitate the evening as you wish. Q: What are the responsibilities of the guests? A: Please arrive at church at 5pm for very light appetizers and to receive your host assignment. You will receive an email by Wednesday suggesting a side dish or dessert you may bring. Q: Do I have to sign up ahead? A: Yes. Sign ups will be open from October 14 to October 29. While we can accommodate a small number of changes at the last minute, deacons have to match guests with hosts and inform you of what to bring ahead so we need you to RSVP by the Monday before. Q: Can I bring a friend who does not attend our church? A: Yes, if bringing a friend or neighbor please include them in your sign up count. Q: What if I need to change my count at the last minute? Q: When will I find out my assignment? A: Guests will receive the name and address of their host at church at 5pm on the day of the event. Hosts will find out when their guests arrive!